While Humphrey Bogart might not your traditional looker, he still had that swagger about him. You know the kind I’m talking about – you’ll find it in the likes of Benicio del Toro, Javier Bardem or (sigh) Clive Owen. By all intents and purposes, they’re not the greatest looking guys, but they’ve got that…that something…that just you can’t resist. That’s what they’ve got that you ain’t got. And so did Bogart. 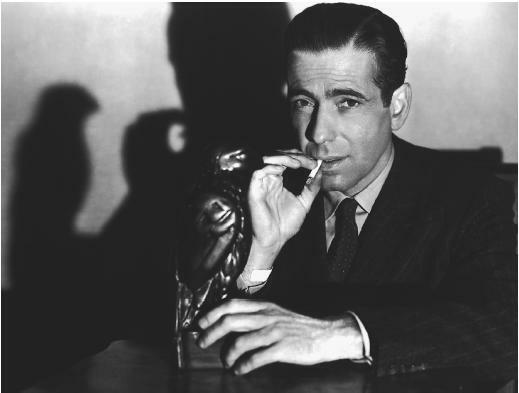 Bogart’s name is probably most synonymous with Casablanca, but there was also Key Largo in 1948 and The Caine Mutiny in 1954, for which he won his only Academy Award (for best actor). That’s all well and good, but I’m more interested in the fact that he got kicked out of prep school. According to Wikipedia, there are a few stories behind the incident: “one story claims that he was expelled for throwing the headmaster (alternatively, a groundskeeper) into a man-made lake on campus. Another cites smoking and drinking, combined with poor academic performance and possibly some intemperate comments to the staff. It has also been said that he was actually withdrawn from the school by his father for failing to improve his academics, as opposed to expulsion. In any case, his parents were deeply dismayed by the events and their failed plans for his future.” But, what the medical world lost, the film world gained. And we couldn’t be more proud. 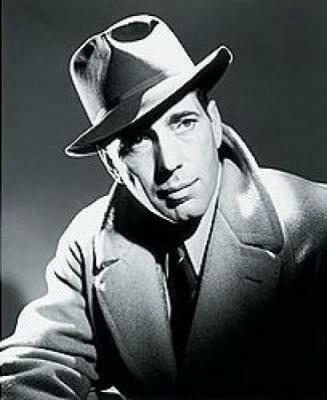 Ladies, here is today’s Matinee Man: Humphrey Bogart. 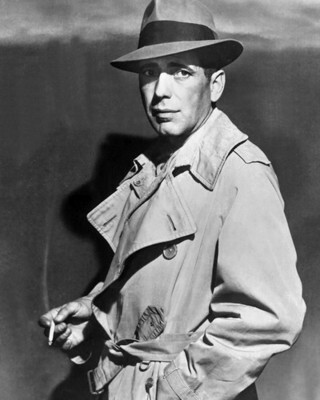 Just love that Bogart! He had something, all right. Yowza! Thanks for the pics.